A long time ago in a galaxy far, far away... there were perfect earrings for the Star Wars fan! 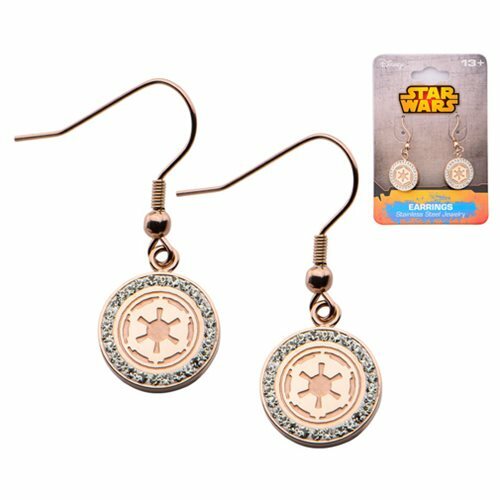 Show your support for the Empire with the Star Wars Galactic Empire Symbol with Gems Stainless Steel Rose Gold Plated Hook Dangle Earrings. These beautiful earrings are made of stainless steel and is plated in rose gold with cubic zirconia gems. Get the Star Wars lover in your life this awesome piece of jewelry!